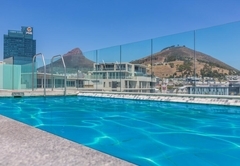 Harbour Bridge Suites 001 is a highly recommended property providing self catering in Roggebaai for up to 2 guests visiting the City Bowl region. 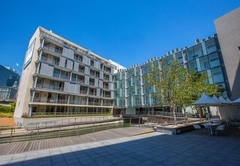 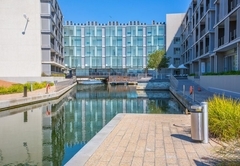 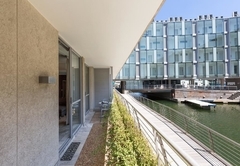 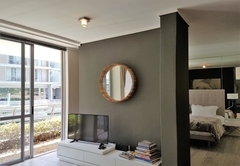 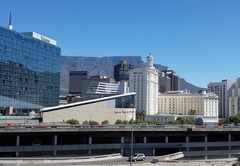 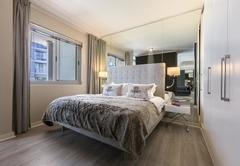 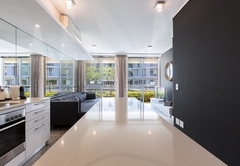 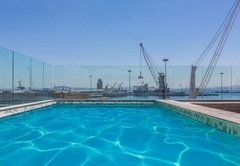 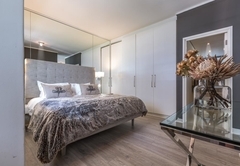 Harbour Bridge Suites 001 is a designer, luxury one bed apartment offering accommodation in Cape Town within walking distance to the V&A Waterfront, the CTICC, Cape Town city centre and the vibey De Waterkant precinct. 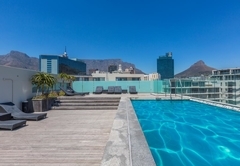 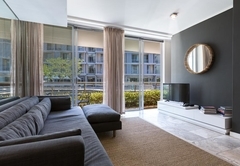 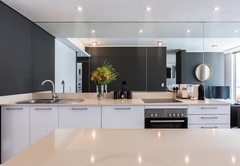 The apartment is in the perfect location for accessibility to exceptional local cuisine and upmarket cocktail bars, laid-back coffee spots, as well as easy access to pristine beaches and freeways. 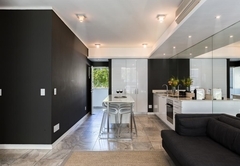 Harbour Bridge Suites 001 Holiday Apartment has one bedroom furnished with a king size bed and a full bathroom. 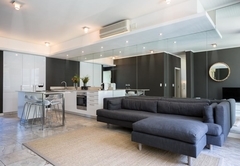 There is a comfortable open plan living area with a corner couch, a dining table and a modern well equipped kitchen with an oven / stove, fridge / freezer, washer, drier, dishwasher, microwave and Nespresso machine. 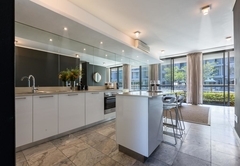 Response timeHarbour Bridge Suites 001 typically responds to requests in 5-10 minutes.